It must be known that I’m not very familiar with Doctor Stephen Strange who is said to be the Sorcerer Supreme in the Marvel universe. My knowledge of the character doesn’t come from his own comic book series but his guest appearances in other Marvel comics, his playable or cameo statuses in various video games and his animated television and movie appearances. With that said I have no fear that I won’t be lost going into this movie as Marvel studios track record has shown us that they can introduce the world to a bunch of B-list super heroes in guise of the Guardians of the Galaxy and Ant-Man and singlehandedly make us fall in love with them and turn them into pop cultural icons for this generation. For those who aren’t familiar with Dr. Strange, he made his first appearance in 1963. Inspired the radio program Chandu the Magician, he was created by the legendary duo of Stan Lee and Steve Ditko. Like the Spider-Man, his first appearance was in an anthology series of comics called Strange Tales (issue 110) that Marvel at the time published. Since then he has become a prominent figure in the Marvel pantheon and has finally gotten his first shot at the silver screen even though its not his first movie as there was a 1978 made –for-TV movie based on the character and he had an animated film that was released in 2007. 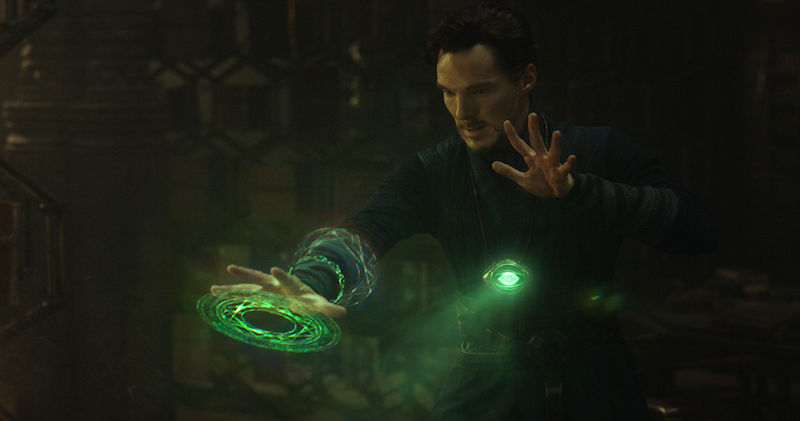 The movie introduces magic to the Marvel Cinematic Universe. 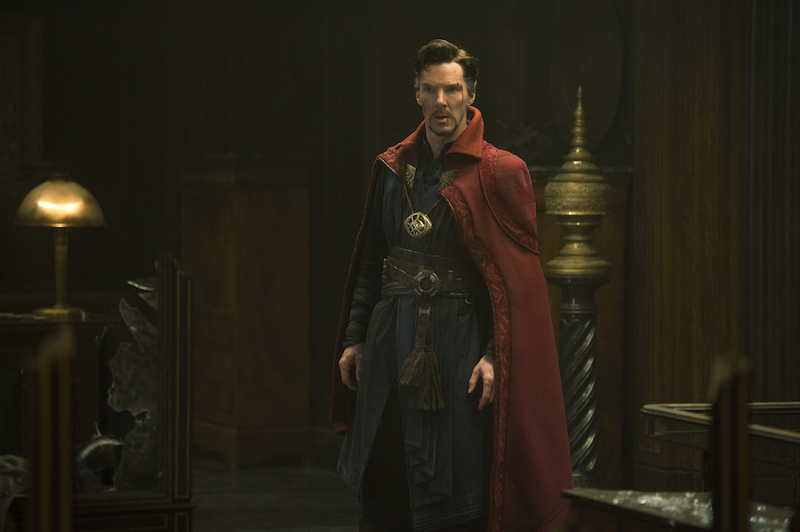 Marvel Studios Doctor Strange is not only the perfect film to integrate the element of mysticism; magic (even though we have seen small elements of it through Thor) and dimensional travel into the Marvel cinematic universe but it also acts as the perfect opportunity to introduce a new audience to Dr. Strange. This movie acts as origin tale as it follows Stephen Strange, a wealthy, cocky and egotistical but very intelligent neurological surgeon who is at the top of his game. When he gets into a horrific car accident he loses the use of his hands due to severe nerve damage, which as result hinders his ability to perform surgery, and effectively damages his livelihood. Down in the dumps, the doctor visits a former paraplegic, Jonathan Pangborn (Benjamin Bratt) who healed himself without the use of medicine but magic. He points Strange to Kamar-Taj in Nepal where he can seek answers from the Ancient One (Tilda Swindon). After he meets with her and he humbles his arrogance through a demonstration of her powers by showing him magic and alternate dimensions, Strange begins to accept that there is more to life than being a surgeon and wants to learn more about the mystic arts and his journey to becoming a sorcerer begins as he not only learns about the mysterious arts through the Ancient One but also her disciples Wong (Benedict Wong) and Karl Mordo (Chiwetel Ejiofor). Whilst his training is going on a former disciple of the Ancient One, Kaecillius (Mads Mikkelsen) along with his zealots plans to bring the destruction to the world using forbidden magic and these two become destined to cross paths and a battle to save the earth ensues. With the brilliant Benedict Cumberbatch who many will recognise for his turn as the equally egotistical Sherlock Holmes in BBC’s Sherlock cast as Marvel’s resident sorcerer backed with an impressive supporting cast featuring fellow Academy Award nominees Chiwetel Ejiofor and Rachel McAdams along with Academy Award winner Tilda Swinton and the talented Mads Mikkelsen who put in an impressive shift as Daniel Craig’s first Bond villain in Casino Royale and a the younger version of the classic character Hannibal Lecter in the short-lived TV show Hannibal. Is this strange tale (pun intended) end the somewhat mixed superhero calendar of 2016 on a high note? Lets take a look at the positives and negatives to find out. Benedict Cumberbatch is unsurprisingly fantastic as Dr. Strange. Like Robert Downey Jr. not only does he look the part, he was born to play the role. Speaking with an American accent that is reminiscent of Hugh Laurie’s Gregory House (House, M.D), Cumberbatch effectively conveys the character’s arrogance, stubbornness and his never ending thirst to better himself with a strong amount of wit and charm. I really enjoyed that facet of the character to the point that when he learns to accept that he doesn’t know everything and he must better himself it makes watching him grow into the Sorcerer Supreme one of the films most endearing elements. If I could describe his performance in a word it would simply be charismatic. 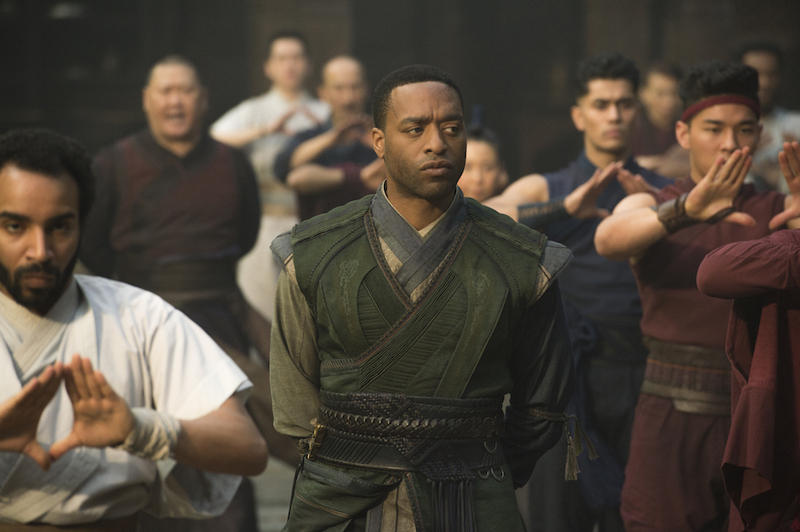 Benedict Cumberbatch wasn’t the only star that gets to shine in this movie; other highlights in the acting department include Nigeria and Britain’s very own Chiwetel Ejiofor as Karl Mordo. I enjoyed his turn as Mordo because not only was he a cool looking character who got involved in the impressive action sequences he portrayed his character as the natural foil to Dr. Strange. Where Strange is always willing to question the arts and find out more even though that might include breaking the rules , Mordo chooses to remain disciplined , rigid and loyal to his code and the cause without questioning the natural order of things. This contrast in personalities makes their interactions dynamic and fun to watch. It has also piqued my interest in seeing how their relationship will evolve in the sequels. Despite the controversy that faced Tilda Swinton’s turn as the Ancient One, she still put in an awesome performance as the character despite the change of origins. From what I understand the original version of the character was of Tibetan origins and was a man but it was changed to a character of Celtic origins and a woman in order to avoid stereotypes and have more females in the cast. Even though her casting has been criticized as another case of Hollywood whitewashing characters (this will be a topic for an editorial) this shouldn’t detract from the fact that Swinton correctly depicted the Ancient One as a character who is domineering, secretive, ethereal, mystical, enigmatic and most importantly complex with conviction. Watching her break Strange’s ego and push him to limits was a personal highlight of mine. Rachel McAdams provides the crowd with a decent performance as Christine Palmer, Dr. Strange’s former flame and colleague in the hospital who ultimately helps anchor his humanity. One thing I appreciate is how she is sparingly used in the films story. She’s not overstaying her welcome like Amy Adam’s Lois Lane did in Batman v Superman: Dawn of Justice and is brought in at the right moments. One of the most impressive aspects of the film is the visual affect. Since this is the Marvel’s Cinematic Universe’s introduction to alternate dimension like the Mirror dimension, it gives the film a psychedelic feeling that will leave you in awe. These visual affects also act as the catalyst and backdrop for a lot of the films impressive action sequences where we see magic sparks fly all over the screen the world flipping upside down, right side up and any other direction I can think of. This in my honest opinion makes Inception crazy dream sequences look like a kitten in comparison. I can’t help but stress that you must witness this movie in Imax to get the most out of these insane effects. 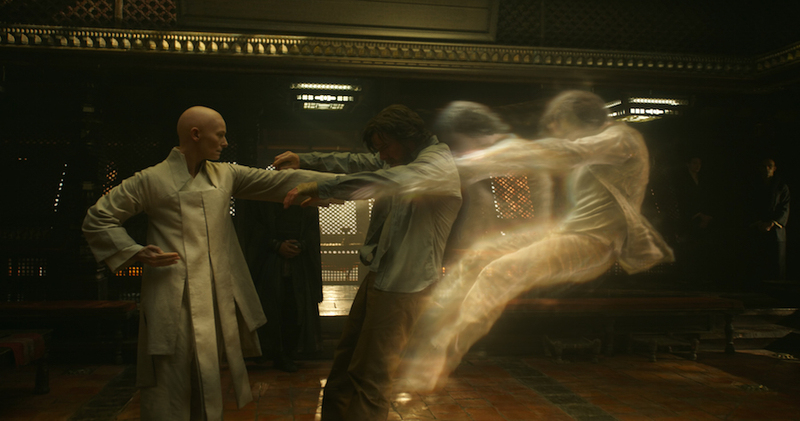 The Ancient One (Tilda Swinton) knocks Strange into the Astral dimension. Despite the crazy visual effects and the elements of magic and dimensional movement, I couldn’t help but get the feeling of déjà vu watching his film. Given the fact that the film is an origin story, it most be noted that Doctor Strange is eerily similar to Robert Downey Jr. original Iron-Man movie that came out 8 years ago. The characters are very similar, the plot structure is also similar and their transformation into their heroic identities are comparable however the only difference is the paint brush used to draw them. One is made by technology the other is brought by magic. This isn’t a major criticism but a minor nit pick and a stray observation. In typical Marvel fashion the villain of the piece doesn’t really live up to expectations. Mads Mikkelsen does he best he can with Kaecillius making him intimidating and cool but he doesn’t get enough screen time to leave a lasting impression. Luckily this gripe is diminished thanks to the films status as an origin story. 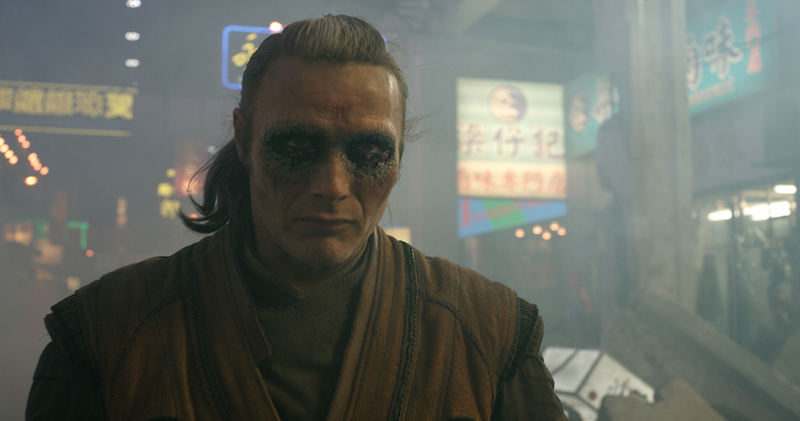 Kaecilius (Mads Mikkelsen) is looking to cause mayhem. Doctor Strange is a visual spectacle and a thoroughly enjoyable super hero origin story with a charismatic lead and solid supporting cast that successfully combines its ridiculous and awesome elements of magic and mysticism with the typical Marvel Cinematic Universe fare.